With the number of agencies available, you have the opportunity to compare one to another. Ask for referrals from friends who may have used an agency. Check for quality of services and possible infractions. You can also check with the Chamber of Commerce or Better Business Bureau, which will have a record of any specific complaint lodged against an agency. Every state has the authority to license and regulate its home care agency system. As a result, there are often variations in licensure requirements and regulations from state to state. The exception is Medicare-certified agencies that must comply with federal regulations. Probably the most familiar provider of home care services is the home health agency. The home health agency is usually licensed and Medicare certified. This means that the agency has met guidelines and criteria established by the federal government for patient care and management. The main purpose of this type of agency is to provide treatment and/or rehabilitation services to patients in their homes through the services of skilled nurses and/or therapists. The care plan is closely monitored and controlled and must be prescribed by a physician. This plan must be updated every 60 days in order for Medicare benefits to continue.Home health agency services can include nursing, therapies, medical supplies, social work, home health aides and nutritional services. Some home health agencies may have a side to their agency that is private pay or non-Medicare certified. 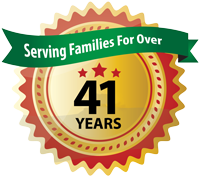 This side of the agency provides services to those individuals that no longer require skilled care, but continue to have ongoing personal, custodial care needs. The private pay side of a home health agency may have higher rates than an agency that is strictly a private pay home care agency. A private pay home care agency is generally an agency that provides home care services that are not reimbursable under Medicare. This type of agency provides what is termed “custodial care,” or care that can be given by a non-medical care provider. The services offered may range from companion care to assistance with personal care functions such as bathing and dressing. They may offer non-skilled therapy and nursing services. The care is paid for privately by the client, or in some instances, by private insurance such as long-term care insurance. It is not always mandatory to have a physician’s order for care. These agencies may or may not be licensed and regulated depending on each state’s requirements and legislation. Most of these agencies supervise and monitor their employees and are responsible for the care they provide. A registry is an agency that functions primarily as an employment service for home health aides and nurses. These agencies usually do not have a health care license nor do they have to conform to government regulation. Some registries may employ nurses to assess care needs, formulate a care plan and oversee workers, but this is not usually the case. When using a registry provider, the person employing the provider becomes the supervisor of care delivered, pays the provider directly, and becomes responsible for all state and federal payroll taxes. A companionship/non-medical home care services agency provides companionship and personal contact to people in their homes. The agency serves to prevent isolation of the person at home, assists with light home-making, errands and transportation and provides supervision for those who are unable to be left alone. Personal care is not usually performed by the caregivers. Most agencies employ their workers and do background checks, manage payroll and taxes and periodic supervision of the worker. When hiring anyone to come into your home, be sure to safeguard belongings such as checkbooks, credit cards, spare keys, expensive jewelry and other valuables. Make a list of these items and date it for reference if an incident does occur. Immediately report an incident regarding home care staff. If you suspect a problem and have reasonable proof, contact the supervisor of the agency about the problem. You may also contact your local Area Agency on Aging.